Visit us in Hannover at the largest and most internationally-represented technology expo, and experience for yourself the power of our latest innovations. 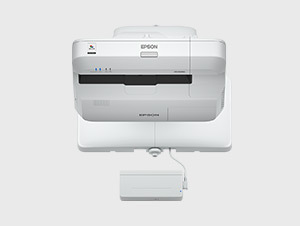 Not only will we be unveiling the next generation of high-speed eco-efficient business inkjet printers, we will also show PaperLab in Europe for the very first time; a compact office paper recycling system capable of producing new paper from securely shredded waste paper with minimal use of water1. 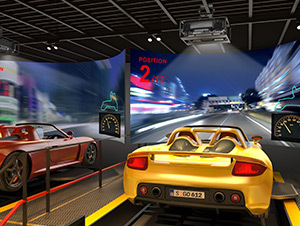 Alongside these exciting innovations, we’ll also be demonstrating our latest 3LCD laser projection technology, advanced robotics solutions, augmented reality smart glasses and much more. 1A small amount of water is used to maintain a certain level of humidity inside the system. 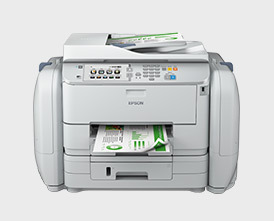 The system can use ordinary A3- and A4-sized copy paper as raw material. 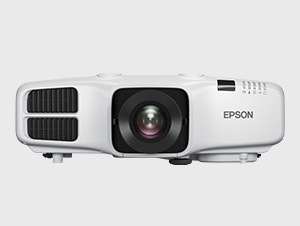 Find out more about Epson’s heritage and future strategy through an immersive presentation displayed on a 230 degree curved screen. 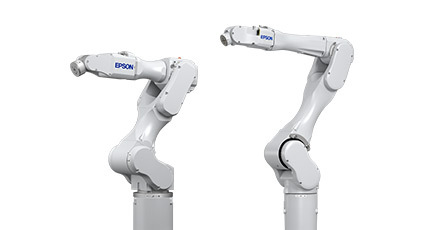 Hear about our ‘world firsts’, our commitment to the environment, and see the innovative products that are helping to shape our future, such as our dual-armed robot. A press conference was held with Mr Usui, global president of the Seiko Epson Corporation, on Monday 20 March at our Japanese Pavilion stand (Hall 4 stand A38). 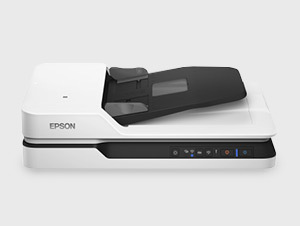 He revealed Epson’s future vision for eco-sustainable technology in the workplace, as well as key findings from our ‘workplace of tomorrow’ research. 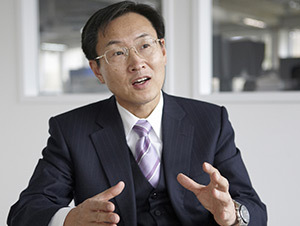 Hear from Mr Usui on what Europeans think about the impact of technology on the workplace. 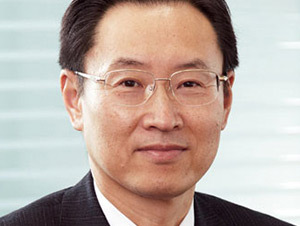 During a keynote speech, in which he’ll reveal new research, Mr Usui will discuss how corporations must ensure that this impact is positive. 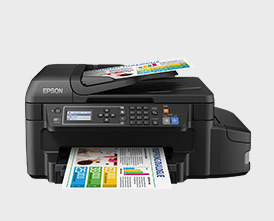 Find out how Epson combines state-of-the-art technologies with traditional Japanese values to ensure its products make workplaces more efficient, our lifestyles richer and reduce the burden on the environment. Catch his speech at the Sakura Stage in Hall 8 at 10.45am on Tuesday 21 March. 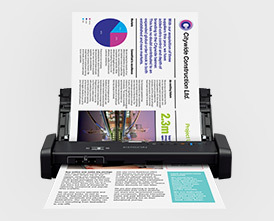 Our stand is divided into different areas so that you can focus on the areas of our portfolio that interest you the most, from superfast printing devices to the latest in meeting room solutions. 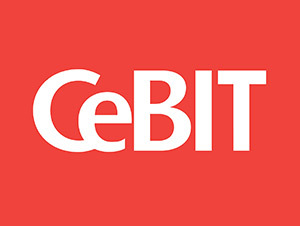 For the first time in Europe, we’ll be presenting one of our latest ecological innovations, the PaperLab, on our stand at CeBIT. It’s an office papermaking system capable of producing new paper from securely shredded waste paper with minimal use of water1. Alongside PaperLab, we’ll also have a wide range of our printing and imaging solutions for business and home. 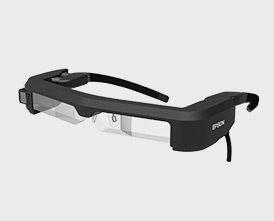 Epson’s Moverio BT-350 smart glasses are designed specifically to allow museums, venues, exhibitions and event organisers to offer enhanced visitor experiences to their customers. 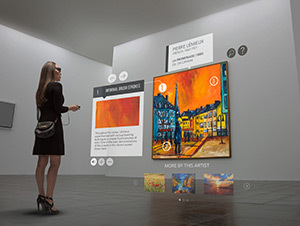 This could include bringing museum exhibits or industrial facility tours to life with interactive content and extended descriptions, providing real-time information to spectators at sports events, or offering opera subtitles for foreign-language speakers or the hard of hearing. Come and be amazed by our robots – doing something you won’t find them doing in a factory... We’ll have two robots performing a show at regular intervals throughout the exhibition, working together with expert precision and skill. 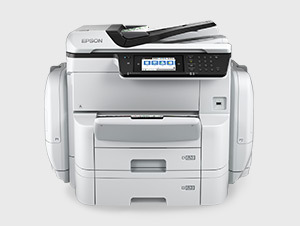 We’ll also be using an Epson robot to refill one of our popular EcoTank printers. 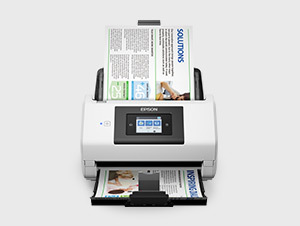 Epson robots are well known for their ease of use, reliability, performance and overall value. 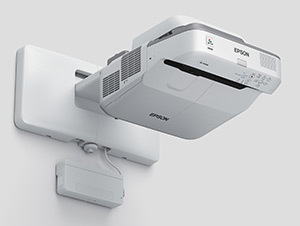 From projection mapping and augmented reality to portable scanning and economical printing; many years’ experience in technology research and development means Epson is perfectly placed to fill the needs of professional and home users, in areas as diverse as printers, scanners, projectors, smart glasses and robotics. 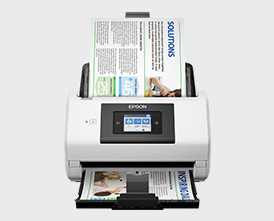 Epson products are designed to add efficiency, reduce costs and limit waste, without compromising on quality. 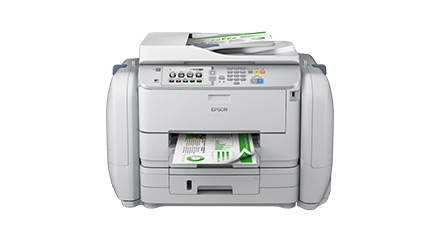 The next generation of superfast eco-efficient business inkjet printers is here: the WorkForce Enterprise. 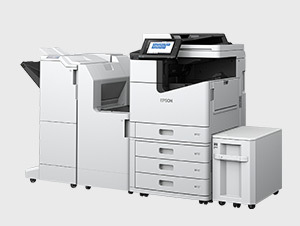 This ultra fast 100ipm departmental colour office A3 printer delivers the ecological benefits that only inkjet technology can offer, providing a low power solution with fewer supplies at the price of a departmental laser copier. 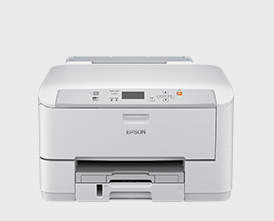 The WorkForce Enterprise WF-C20590 is joined by a 75ipm version, the WF-C17590, both designed to meet the needs of departmental office printing in corporates and SMEs, especially those that have peaks of high-volume productivity. We invest over a million dollars every day on R&D to drive innovation. 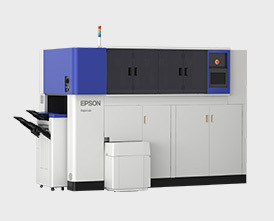 In this zone you can explore several Epson technologies, including our innovative PrecisionCore printhead and PaperLab – the world’s first compact office papermaking system capable of producing new paper from securely shredded waste paper with minimal use of water. This new system uses a dry process to recycle office paper and produce A4/A3 paper, business cards and coloured/scented paper. Stop wasting time, money and resources. 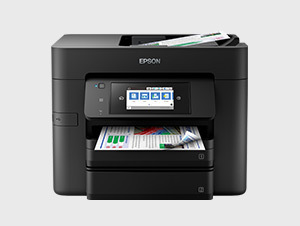 Eliminate traditional printer frustrations and free up your business with the latest WorkForce Pro RIPS business printers. 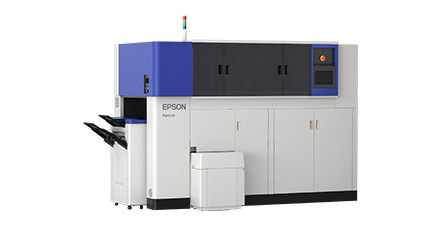 The advanced Replaceable Ink Pack System (RIPS) technology uses super-high-yield ink supply units, which will let you print up to 75,000 pages between ink changes, reducing waste and saving time. 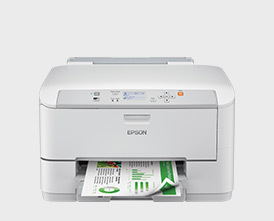 Discover our range of WorkForce Pro inkjet printers, which will save you money and help the environment without compromising on quality or efficiency. 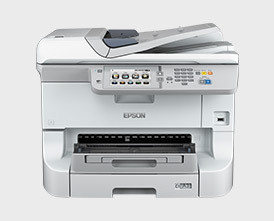 Our office printers feature our unique printhead technology optimised especially for business applications. 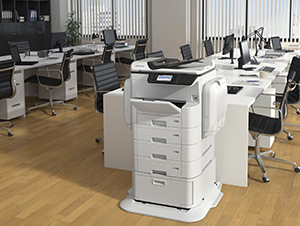 Thanks to our scalable PrecisionCore technology, these printers offer reliability, waste reduction and reduced environmental impact, and will boost productivity and cut energy usage. 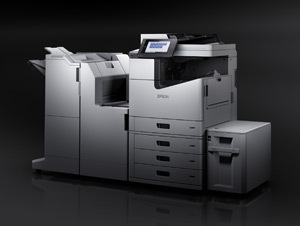 Come and find out why we’ve sold 15 million of our high-capacity ink tank printers around the world. 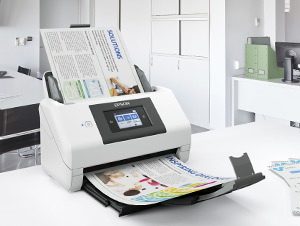 The latest range of EcoTank printers features our revolutionary refillable tank technology, offering an unbeatable combination of convenience and value for homes, home offices and small offices. 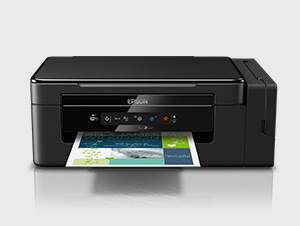 Print without cartridges at a very low cost. 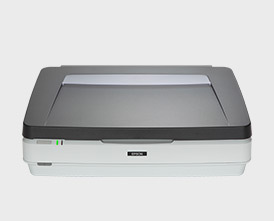 Our versatile scanner range allows professional and home users to capture documents crisply for archiving or transmission, and images at high quality and in vivid colour, for manipulation or printing. 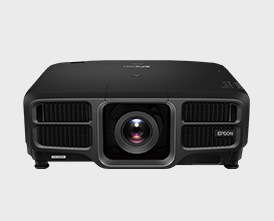 The last year has been a very significant time for Epson’s installation projectors, with the launch of several powerful, well-equipped new models, including the market-leading 25,000-lumen EB-L25000U 3LCD laser projector. 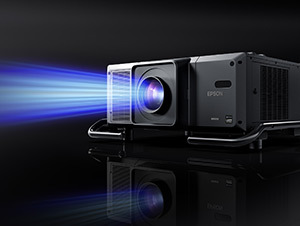 We’ll be showcasing our latest installation projectors on the Epson stand. 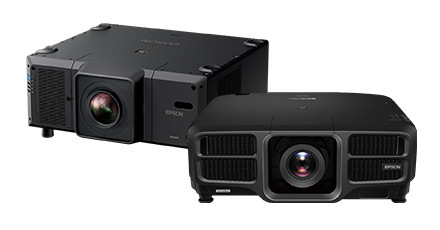 Come and discover why we are the world’s number 1 projector manufacturer1. Allow us to clearly demonstrate just how wide our range of corporate and educational projectors is. 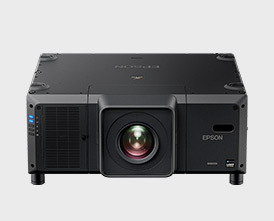 It stretches from versatile Full HD projectors that can sit on a desk or be mounted on the ceiling, to interactive ultra-short-throw projectors, designed to deliver scalable screen sizes up to 100 inches in spaces where display size matters. 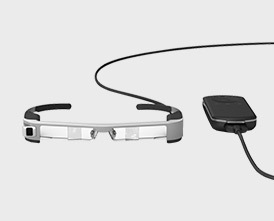 See the world differently with augmented reality: Moverio smart glasses offer a wide variety of enhanced vision and augmented reality features for both professional and amateur users. 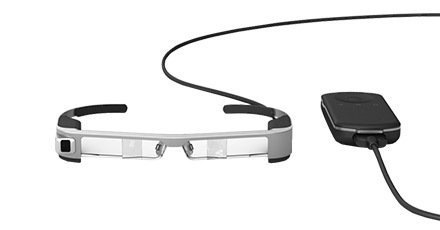 Our BT-350 smart glasses are designed to offer an enriched experience to museum, concert or event attendees, by providing the history of exhibits, real-time event information or opera subtitles, or for bringing industrial facility tours to life with background details and interactive content. You need your technical presentations to show every detail: sharp text, fine lines, dense blacks, smooth tones and excellent colour. 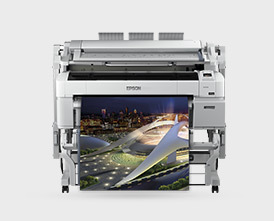 Our high-speed large-format printers are designed to produce a wide range of high-quality graphics, CAD and GIS applications in design, commercial print, copy shop, architecture, building, engineering, retail and education environments. 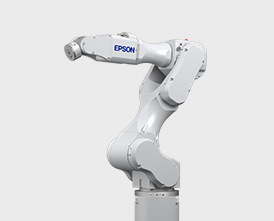 With over 55,000 robots installed in factories throughout the world, many of the top manufacturing companies rely on Epson robots every day to reduce production costs, improve product quality, increase yields and help increase their bottom line. 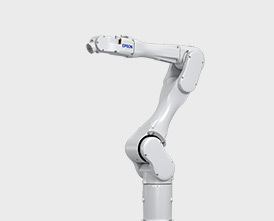 They are well known in the industrial robot market for their ease of use, reliability, performance and overall value. 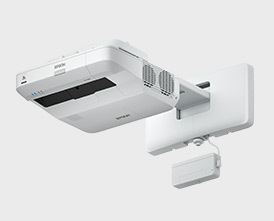 Innovative smart features and a range of security and control options combine to offer fast, reliable network scanning. 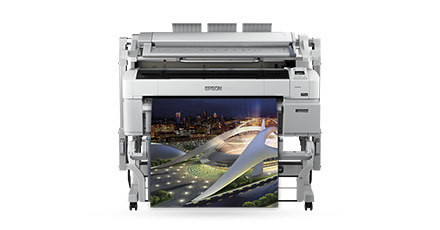 First European showing of the PaperLab office papermaking system and Epson’s vision of the future workplace. 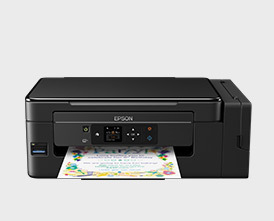 Reap the ecological benefits that only inkjet technology can offer, even when printing double-sided at 100 images per minute. Improving People's Work and Lives with Technology. 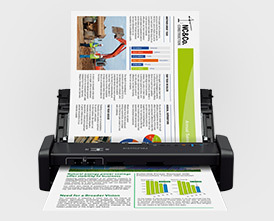 PaperLab revolutionises office recycling by turning waste paper into printable office paper using a dry process. 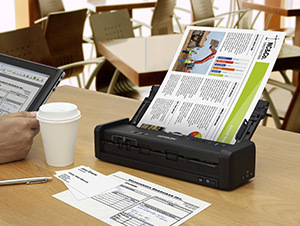 With excellent media versatility, Super Speed USB 3.0 connectivity and a convenient 20-page document feeder. 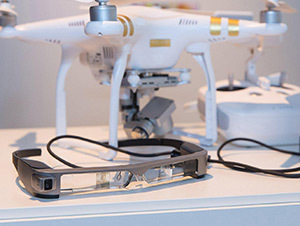 Partnership designed to enhance safety and flight capabilities of DJI drone piloting using Epson’s Moverio BT-300 smart eyewear; partnership marks first mass-market consumer application of AR smart eyewear for drone piloting. 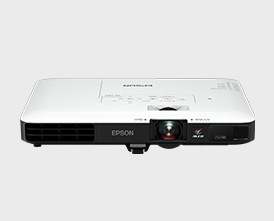 EB-5000 Series projectors offer impressive features, brightness and lasting performance at an affordable price. 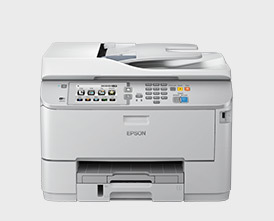 Increased brightness, more features, and the same trusted reliability, flexibility, and ‘fit and forget’ convenience. 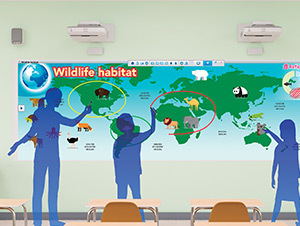 Get great results with a large scalable screen up to 100 inches from the market-leading manufacturer in education. 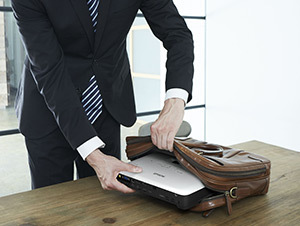 The Moverio BT-350 enables visitors to experience something they've never seen before. Epson explores the impact of technology on our workforce as 64% of Europeans express positive sentiment* towards embracing it but raise questions over responsibility. Ceremony attended by senior government officials including German Chancellor Angela Merkel and Japanese Prime Minister Shinzo Abe. 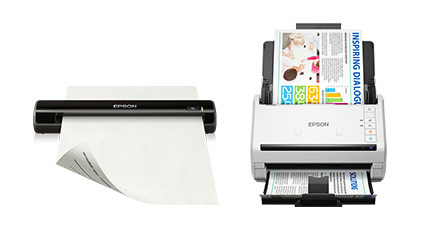 Space-saving, cost-effective and efficient 4-in-1s. Affordable, fast and flexible flatbeds with the smallest footprint in their class and ADF for enhanced productivity. Streamline meetings and encourage collaboration with interactive displays and Skype communication. 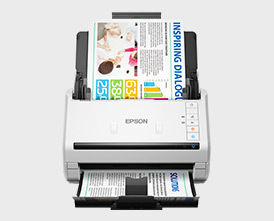 Low cost and hassle-free printing from a smaller footprint. 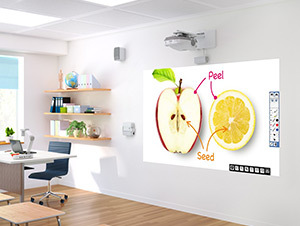 Gesture control, screen mirroring and wireless presenting across the range make it easier than ever before to give professional presentations. 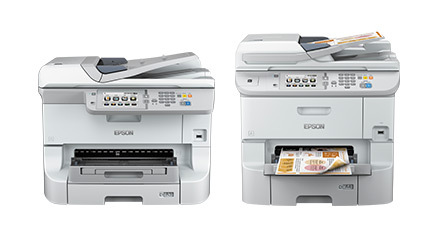 Neuer Epson WorkForce DS-780N Einzugsscanner zur Verarbeitung hoher Auflagen. 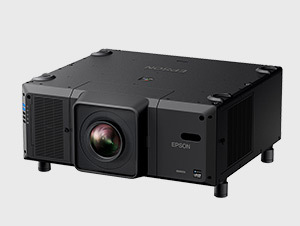 Epson und die Lang AG unterstützen CeBIT bei Eröffnungszeremonie mit Laserprojektoren. 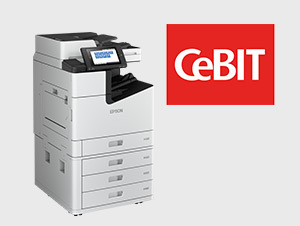 Epson zeigt auf der CeBIT 2017 sein PaperLab erstmals in Europa. 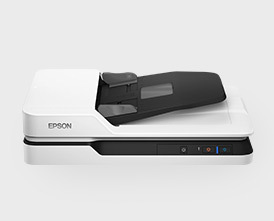 Epson zeigt auf der CeBIT 2017 Innovation aus allen Bereichen. 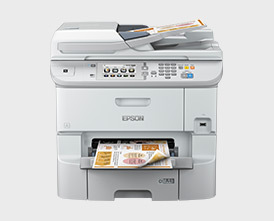 Epson zeigt auf der CeBIT WorkForce Enterprise MFP mit bis zu 100 ipm. Einfluss von Technologie auf die Lebens- und Arbeitswelt. 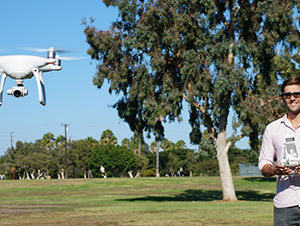 DJI optimiert DJI GO App für Epson Moverio BT-300. 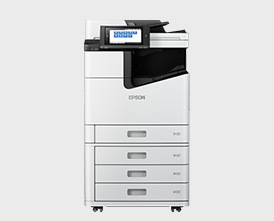 Neue Reihe Epson Installationsprojektoren für Unternehmen und Lehreinrichtungen. Preiswerte, einfach zu skalierende Geräte für bis zu 100 Zoll Bilddiagonale. 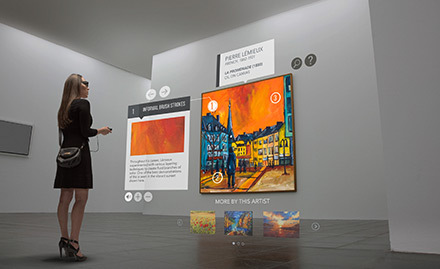 Augmented Reality-Brille schafft neue Vermarktungsoptionen für Kunst und Kultur. 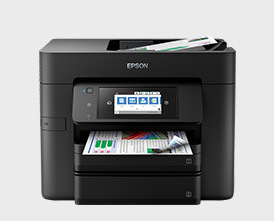 Epson ermittelt Effekte von Technologie auf die Situation am Arbeitsplatz und stellt fest, dass 64 % der Europäer positiv auf technologische Neuerungen reagieren, aber Fragen zur Zuständigkeit haben. Stromverbrauch um bis zu 95 Prozent und den anfallenden Abfall um bis zu 99 Prozent reduzieren. 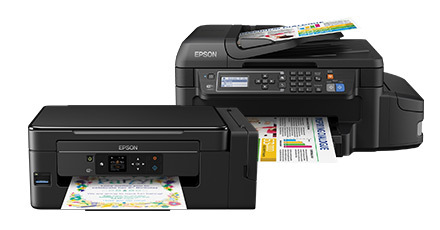 Epson WorkForce DS-310 und DS-360W Dokumentenscanner für unterwegs. 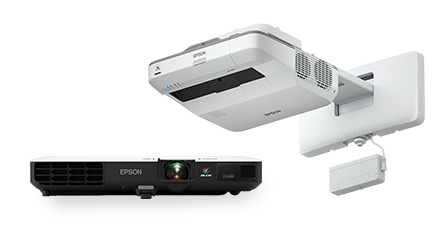 Neue Epson Ultrakurzdistanzprojektoren für Konferenz- und Arbeitsräume für Bilddiagonalen von bis zu 100 Zoll. 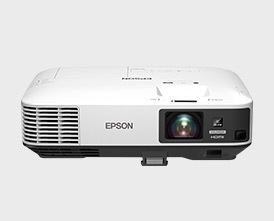 Neue Epson Projektoren für Zusammenarbeit und Präsentation. 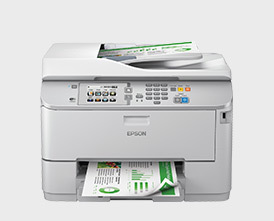 Premier Salon européen à présenter le système de recyclage de papier PaperLab et la vision d'Epson sur l'environnement de travail de demain. 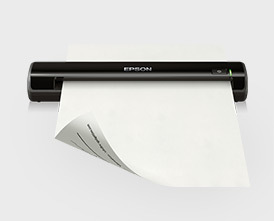 Profitez des bénéfices écologiques que seule la technologie jet d'encre peut offrir même en imprimant à une vitesse de 100 pages par minute en recto verso. 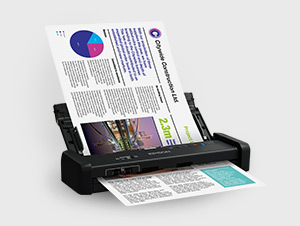 Avec une grande polyvalence des supports, une connexion USB 3.0 Super-Speed et un chargeur de documents d’une capacité de 20 pages. Les projecteurs de la série EB-5000 offrent des fonctionnalités impressionnantes, une luminosité et une performance durables, le tout à un prix abordable. Dotée des fonctions de contrôle gestuel, du Screen Mirroring et de la connexion sans fil, cette gamme facilite les présentations professionnelles sur le lieu de travail ou en mobilité. Le leader sur le marché des projecteurs à destination de l’éducation1 propose d’obtenir de meilleurs résultats grâce à des images projetées allant jusqu’à 100 pouces. Les Moverio BT-350 offre une expérience inédite aux visiteurs. Cependant 64% des salariés sont positifs* quant à l'adoption de la technologie dans leur travail. Des imprimantes multifonctions 4-en-1 peu encombrantes, économiques et efficaces. 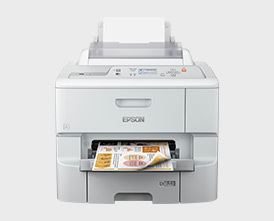 Epson, constructeur engagé dans l’impression responsable, présente son nouveau multifonction bureautique couleur A4/A3+ WF-C869RDTWF conçu pour apporter de la productivité aux entreprises tout en réduisant significativement leur impact environnement. Révolutionner les workflows grâce à des fonctionnalités astucieuses permettant de numériser un grand nombre de documents. Abordables, rapides et flexibles, ces scanners à plat possèdent la plus faible empreinte de leur catégorie ainsi qu’un chargeur automatique de documents pour une meilleure productivité. D’une taille d’affichage pouvant atteindre 100 pouces, le projecteur optimise les réunions et encourage la collaboration via la communication Skype et les affichages interactifs. 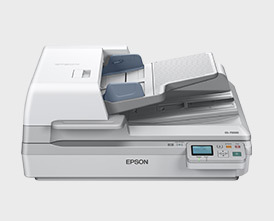 Une imprimante plus compacte, mais toujours autant d’économies et de tranquillité d’esprit. Una combinación de funciones inteligentes innovadoras y diversas opciones de control y seguridad para ofrecer un escaneado en red rápido y fiable. 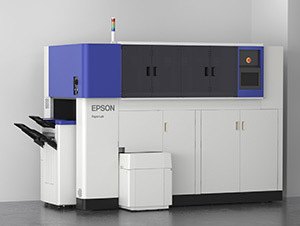 Primera exhibición en Europa del sistema de fabricación de papel de oficina PaperLab y visión de Epson del lugar de trabajo futuro. A la ceremonia asistieron altos cargos gubernamentales incluidos la canciller alemana Angela Merkel y el primer ministro japonés Shinzo Abe. PaperLab revoluciona el reciclaje en la oficina convirtiendo el papel desechado en papel de oficina imprimible mediante un proceso en seco. Con una excelente versatilidad de soportes, conectividad Super Speed USB 3.0 y un práctico alimentador de documentos de 20 páginas. Consigue resultados excelentes con una gran pantalla escalable de hasta 100 pulgadas del fabricante líder del mercado en el sector educativo. Las Moverio BT-350 permiten a los visitantes experimentar lo nunca visto. 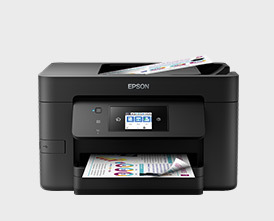 Epson analiza la repercusión de la tecnología en nuestros empleados, ya que el 64% de los trabajadores europeos tiene una opinión positiva* sobre su adopción, pero se plantean dudas sobre la responsabilidad. Equipos 4 en 1 rentables y eficaces que ahorran espacio. 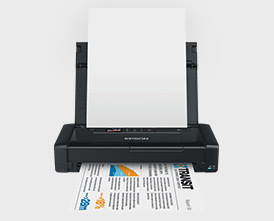 Revolucionando los flujos de trabajo con funciones inteligentes para capturar una amplia variedad de documentos. Producto plano asequible, rápido y flexible con el menor tamaño de su categoría y ADF para mejorar la productividad. Optimiza las reuniones y fomenta la colaboración con pantallas interactivas y la comunicación por Skype. Impresión de bajo coste y sin complicaciones en menos espacio. Ofrecer presentaciones profesionales es más fácil que nunca gracias al control mediante gestos, la función de screen mirroring y la presentación inalámbrica en toda la gama. Mayor brillo, más funciones y la misma fiabilidad, flexibilidad y comodidad: basta con instalarlos y olvidarse del mantenimiento. Funzionalità innovative incontrano un'ampia gamma di opzioni di controllo e sicurezza per offrire scansione in rete rapida e affidabile. 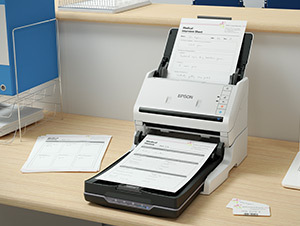 Prima presentazione europea del sistema per riciclare la carta in ufficio PaperLab e della vision di Epson riguardo al futuro dell'ambiente di lavoro. Sfrutta i vantaggi ecologici che solo la tecnologia inkjet può offrire, anche per la stampa fronte/retro a 100 pagine al minuto. Hanno assistito alla cerimonia alti funzionari governativi, tra cui la Cancelliera tedesca Angela Merkel e il Primo Ministro giapponese Shinzo Abe. PaperLab rivoluziona il riciclo in ufficio trasformando i rifiuti cartacei in carta stampabile da ufficio mediante un processo a secco. Ottieni grandi risultati con lo schermo dalle dimensioni scalabili fino a 100 pollici del produttore leader di mercato nel settore della formazione. Moverio BT-350 offre ai visitatori un'esperienza mai provata prima. 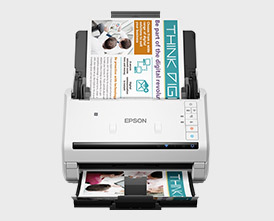 Il 64% degli europei è ottimista* circa l'adozione della tecnologia, ma solleva questioni inerenti la responsabilità: Epson analizza l'impatto della tecnologia sulla forza lavoro. Multifunzione 4 in 1 economici, efficienti e compatti. Modelli piani convenienti, veloci e versatili, con l'ingombro più ridotto della loro categoria e alimentatore automatico di documenti per una maggiore produttività. Semplifica le riunioni e favorisci la collaborazione con schermi interattivi e comunicazione Skype. Stampa a basso costo e senza problemi con un ingombro inferiore. Più luminosità, più funzioni con l'affidabilità, la flessibilità e la convenienza di sempre.